When Mexico is represented on a international event, like a World Expo, the Olympics or the WorldCup, mexicans proudly refers mostly to their Pre-Columbian roots. Mexico’s Aztec, Mayan and other ancient Mexican culture’s roots are shown in color and shape, to represent it’s cultural identity. Yet, more than 60% of the Mexican population is mestizo, a mixture of Spaniard with Amerindian. So, how should the Mexican ethnicity should be represented? Or is the lack of ethnic purity and identity itself? This issue is translated into a series of “Mestizing Stools”. They consist of several generations. 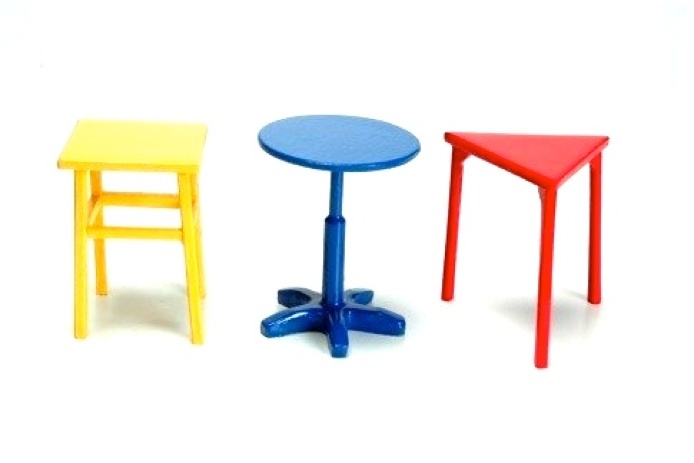 The first group consist of stools that are painted in primary colors and carry a circular, triangular or squared top. 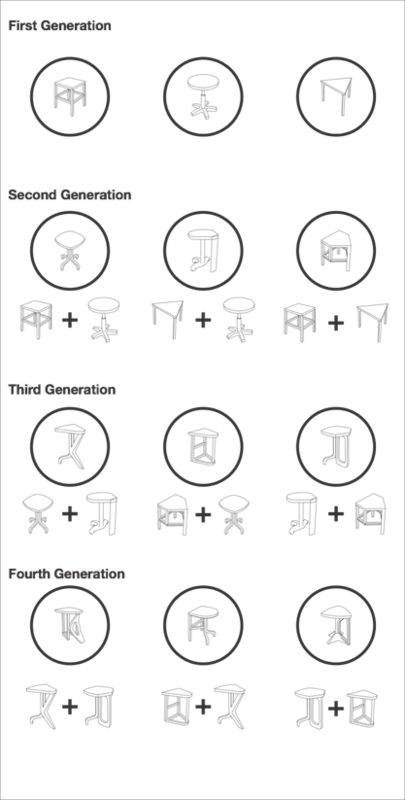 Then these stools are mixed with one another to make a group of three new stools, and so on until the fourth generation. 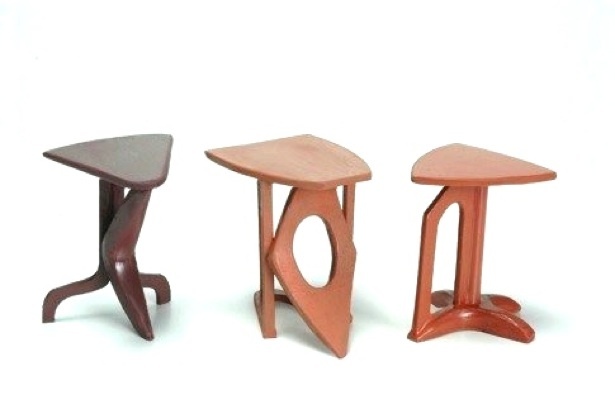 Finally the process ends when the stools become brown, and their shape bares little resemblance to their ancestors.